The Red Copper Square infomercial got me good! When you cook a lot and your cookware is a necessity to you, you look for things that will be useful to you in the kitchen. I have several kitchen gadgets hiding away in my kitchen cabinets and drawers. I barely use them... But this? This looks like something I can definitely use! 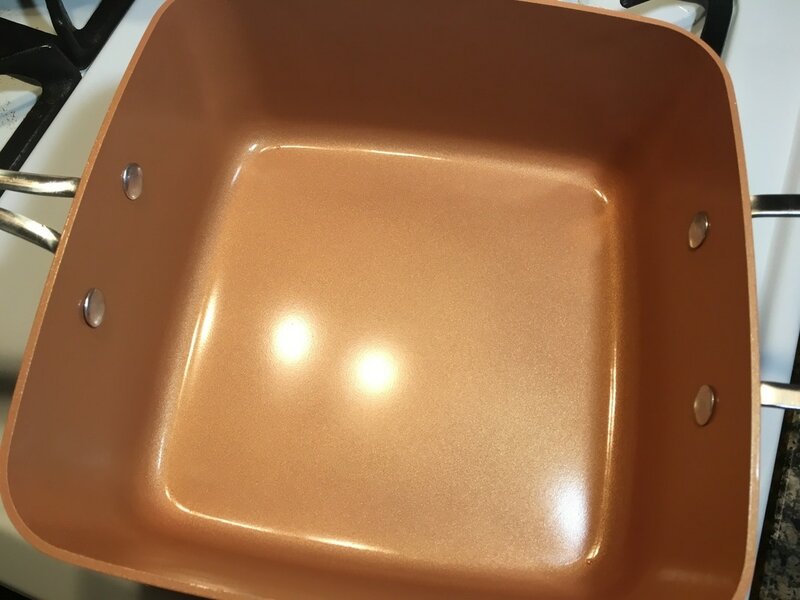 Just like any cast iron cookware, this particular pan has to be seasoned before its first use (a coating of vegetable oil and placing in the oven for a set time). I made sure to follow the directions carefully and properly seasoned the pan. 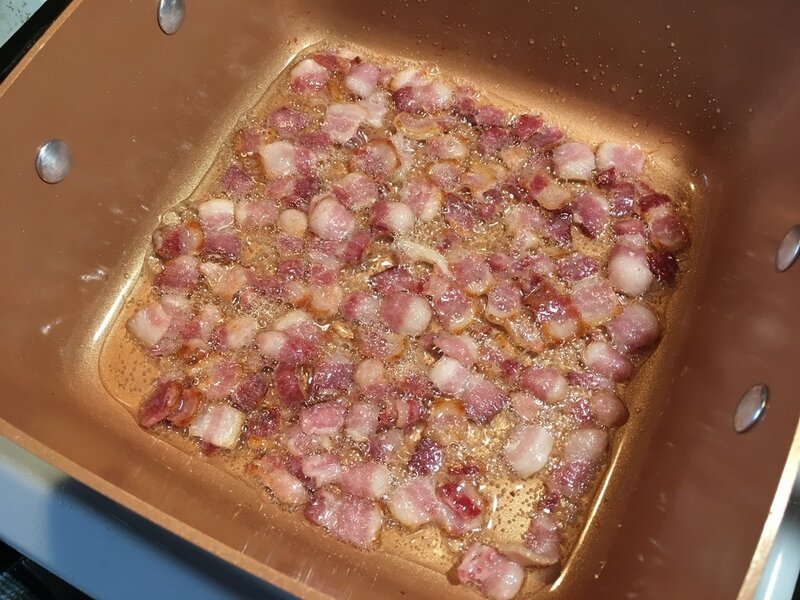 It is recommended that this pan is seasoned at least twice a year. The other main feature I noticed about this pan is that they recommend that it is used on low to medium heat for most cooking. So now it worries me if I have to use this on high heat. Therefore, I avoid using it for things like stir-fry or anything else that requires high heat, hence, a negative for me. 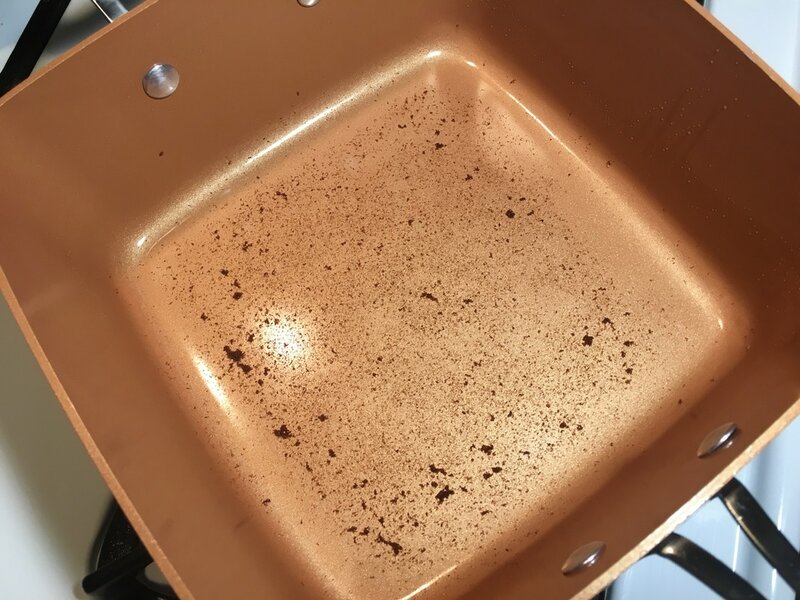 After seasoning, the very first thing I made with this pan was brownies. I must say, I was quite impressed with no complaints there. 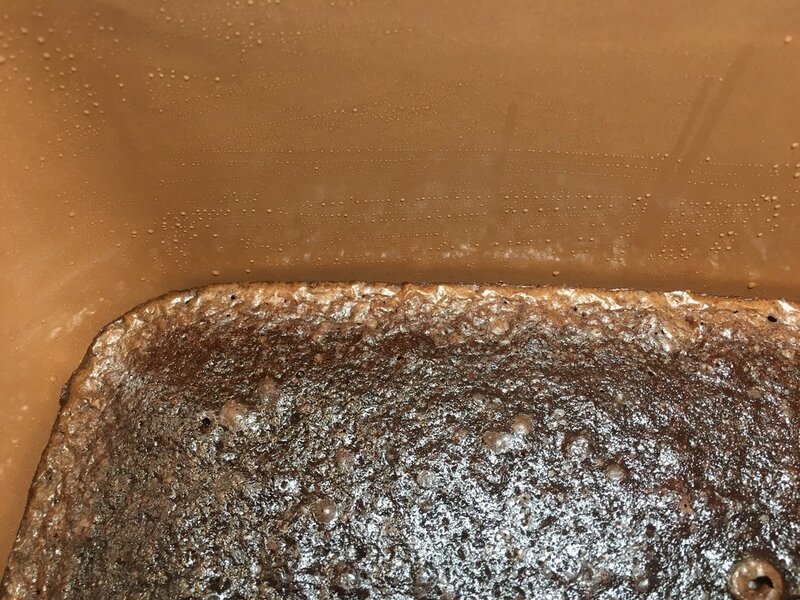 Below, I have a close up of the surface of the pan as well as the brownies in the making. 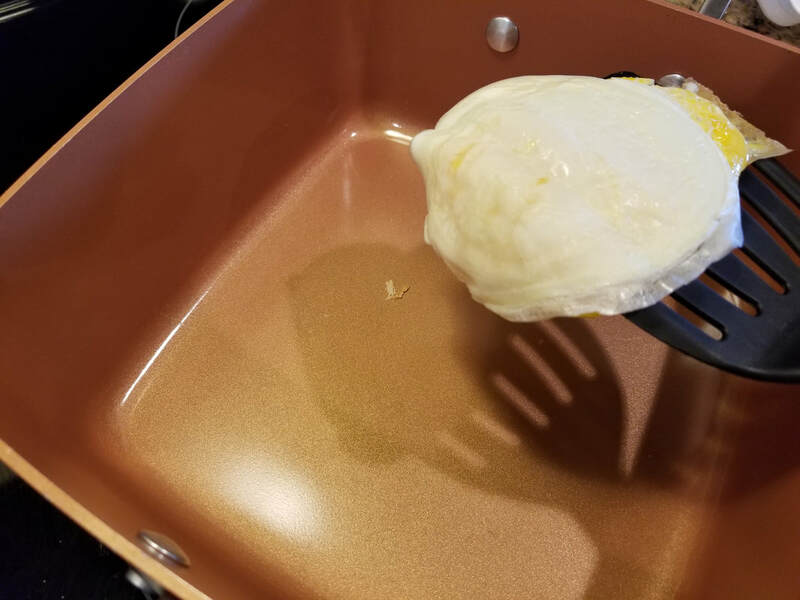 It states the the non-stick surface doesn't require the addition of oil or butter during cooking. 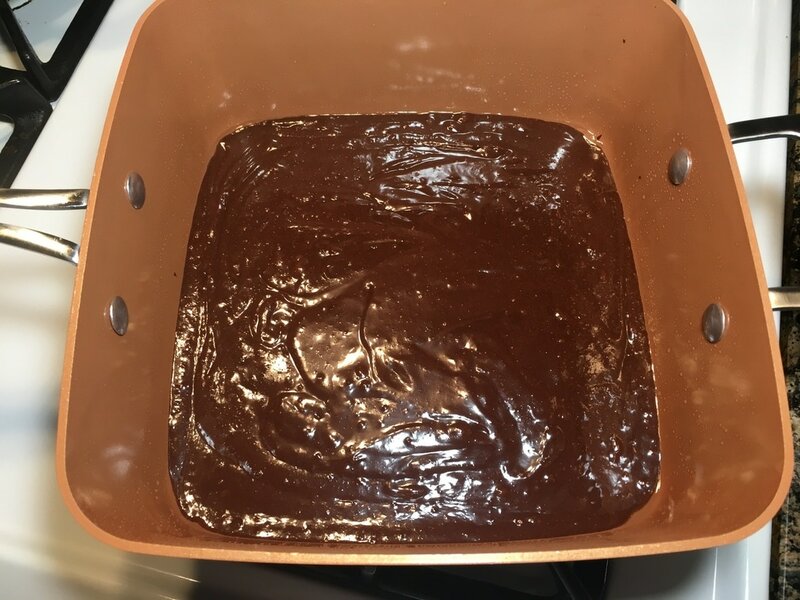 I must admit that I lightly greased the surface per the brownie package directions. 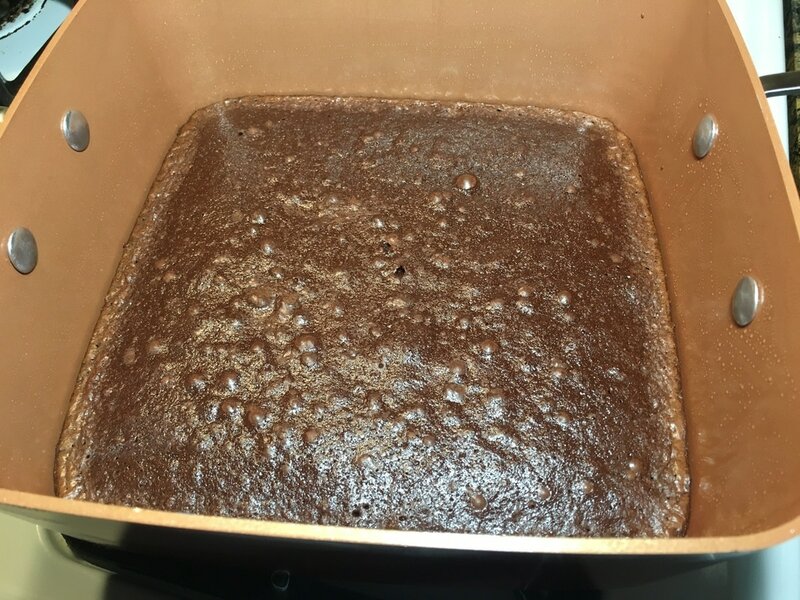 The brownie cooked well, the edges released very well and had a nice crisp. I'm not sure if there would have been a difference if I didn't grease it. 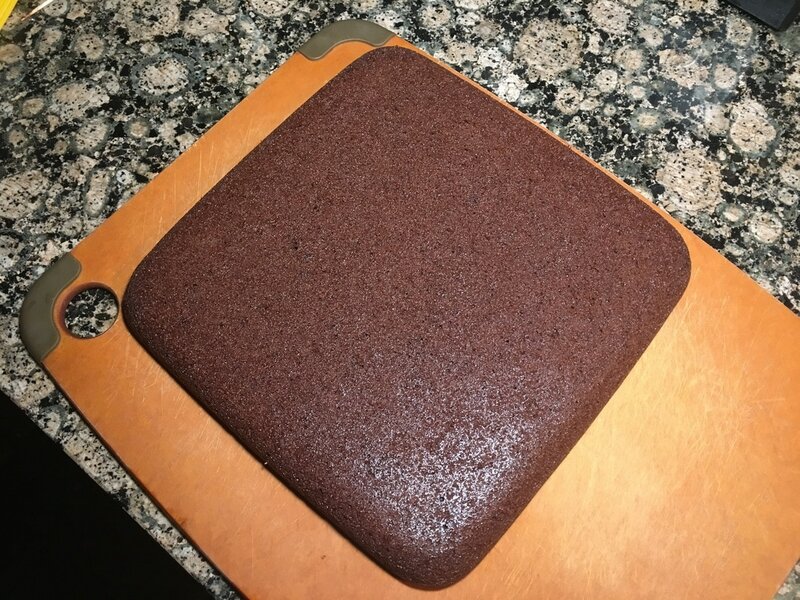 I flipped the pan and the brownie came out in one single piece. There was a little bit of residual crumbs that was left behind but it was nothing extreme. It washed off very easily. 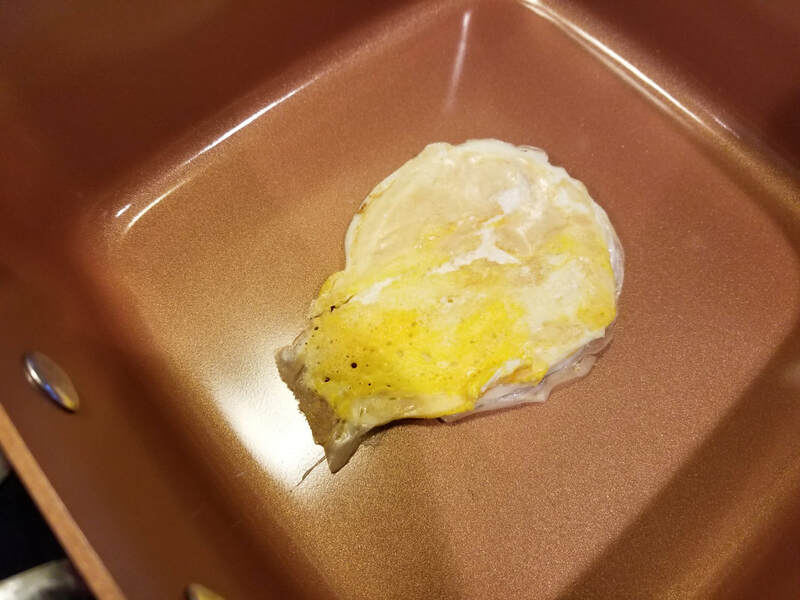 I decided to try eggs. This time, I did not use any grease. 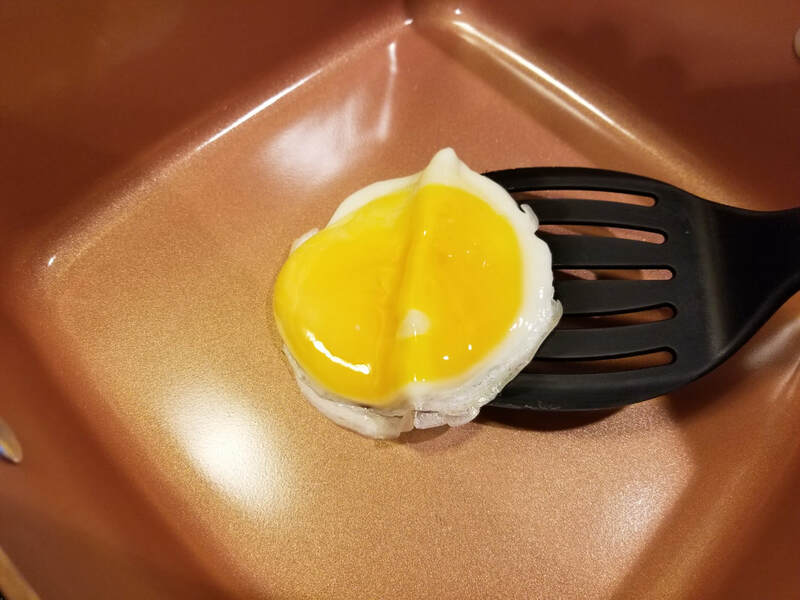 In the infomercial, it shows sunny side up eggs that slide off with ease. Was it really that easy? So far, it actually wasn't that bad. 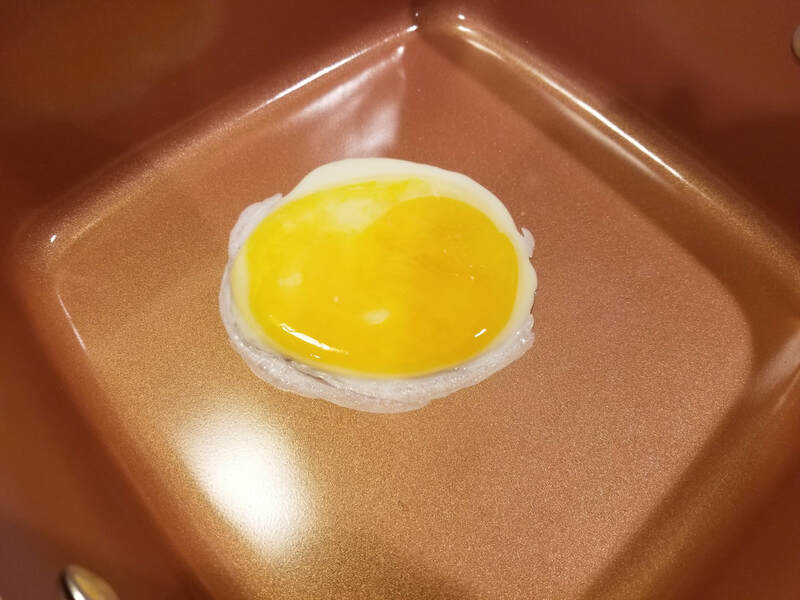 I burst the yolk in order for it to cook evenly. 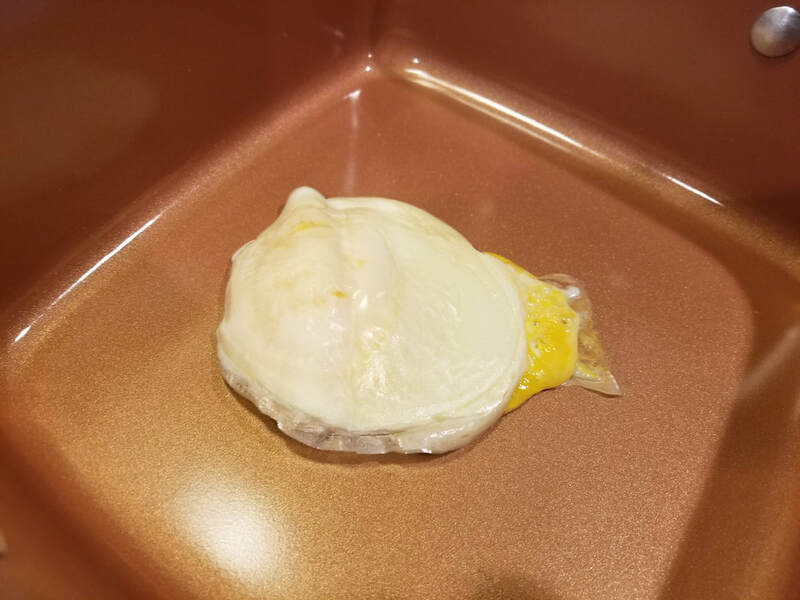 I'm not a fan of runny yolk. It did not slide easily as it did in the infomercial. 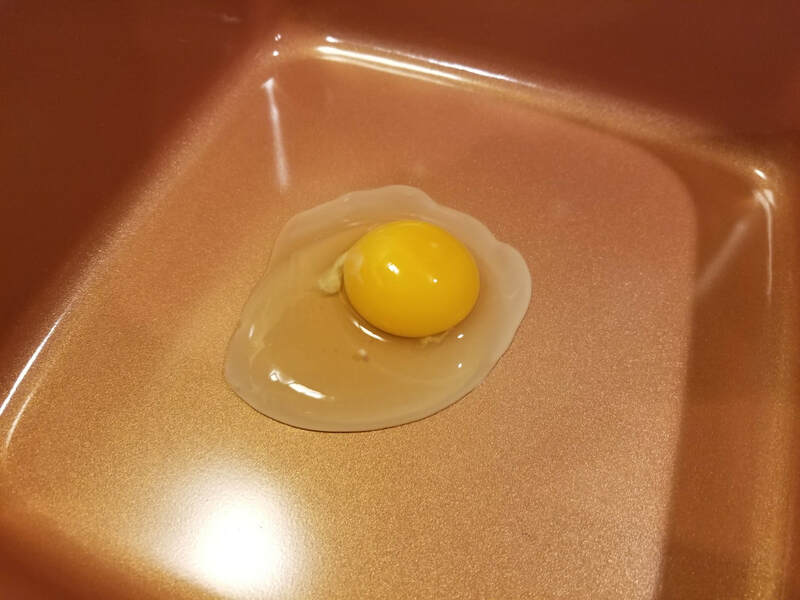 The egg stayed in one spot. I think the crisped edges kept it from sliding. However, it was easily lifted up with a spatula without any issues. I was pleasantly surprised. 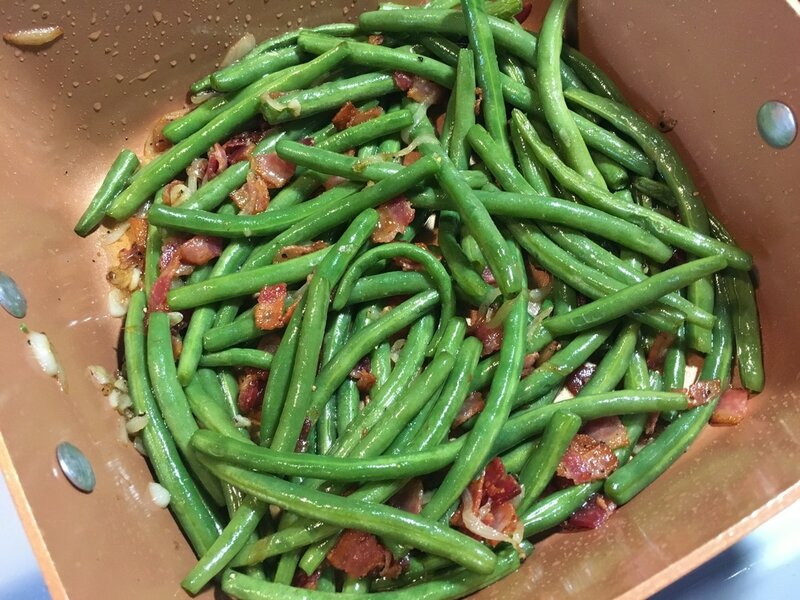 I've made the "Green Beans with Bacon" recipe using this pan and it came out great. 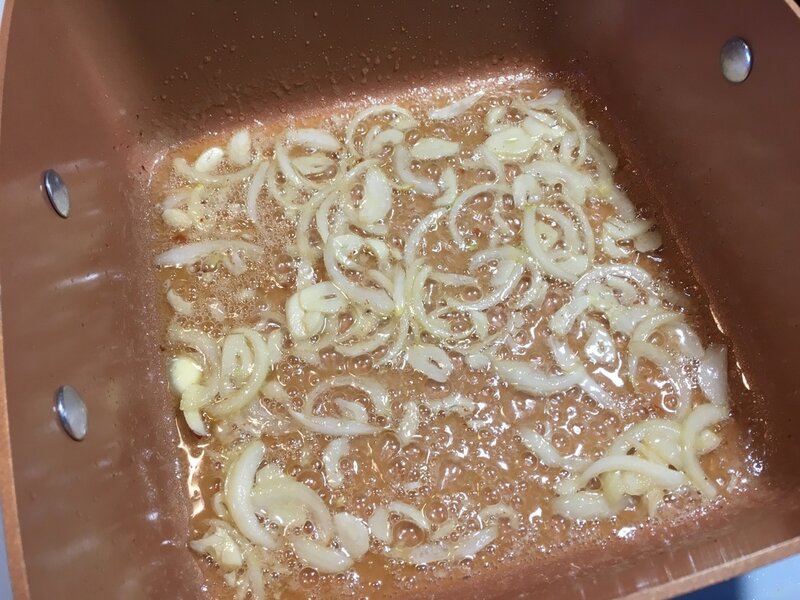 I've sauteed several other things in this pan and have had no issues to date. The steaming feature sounds really great. Surprisingly, I've never steamed vegetables before. I usually blanch them in boiling water directly. I do plan on trying out the steaming method one day. I have yet to try using it as a deep fryer. Neither have I attempted to make a batch of rice with it yet. 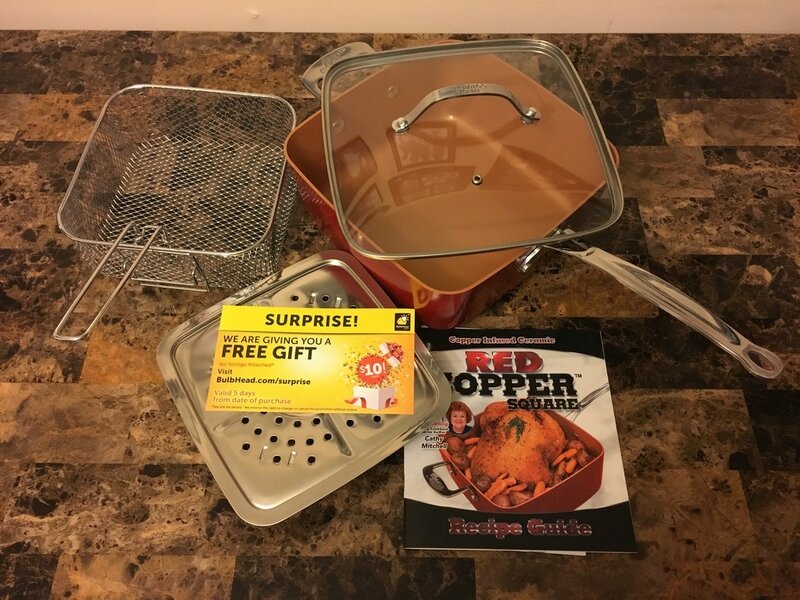 I have used the fryer basket to boil pasta and drain in one easy step. I really like using it for that. With all the things that I have used it for, I really like this product. It is so easy to clean. If you're able to get your hands on one of these things, I think it's a worthwhile investment.